Do you care about communication and education in health care? Good. This episode is for you. No matter what your role is as a health professional, what your specialty or topic is, or who your audience is, this episode is about the single best piece of advice I can give you. That is all. Just recently I was at the Chronic Disease Symposium in Myrtle Beach. I’d been invited to give a plenary on health literacy. Throughout the course of the symposium, I got asked more or less the same basic question about a half dozen times. At its core, it was a question about communication and education. I thought this was a perfect chance to make an episode about this question, as it’s one I’ve gotten for years. I’ll tell you what it was, and how I answered it. Because it’s the single best piece of advice I think I can give you. Just a reminder, I made an audiobook bundle called Effective Patient Education. It’s a bundle of an 80 minute audiobook, an 40 page ebook to follow along, research references, and additional resources. It’s inexpensive and you’ll be helping support this podcast series AND your own learning. 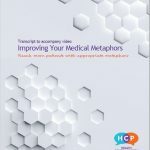 Available for immediate download on healthcommunicationpartners.com. So today, I’m going to give you the single best piece of advice I have for communication and education. No matter who you are, what your purpose is, or who your ‘audience’ is. And I’ll start by sharing the question I was asked at the chronic disease symposium. I spoke with many providers there and a few times, in a few different forms, I was asked this question: how can we say something that will get through? I’ve heard this question many times over the years and each time I appreciate more that sense of urgency, the providers’ real desire to find some way to share information that they genuinely believe will help bring about some positive effects in their patients’ and clients’ lives. It can be tempting to think about communication and education as a simple transfer of information. Kind of like sharing chocolate. Or digital photos of your pets. The idea that “I have it, and I give it to you, and now you have it.” Except ideas and information don’t travel between people quite as neatly as pocket snacks. Whoever your audience, whatever your topic, begin with what people already do, know, believe, and have. Sometimes known as starting where people are. The points is for you take the starting point that people are already doing what you want them to do, or know something like what you want them to know. You start where they are, and build on and enlarge their understanding with what you have to say. Now, I’ll break this down and show you ways to get going. Maybe you’re a provider engaged in the consent process with a patient. Maybe you’re a public health professional training the trainers. Or you’re a community health worker educating individuals during group visits (maybe even via telehealth). These three covered most of the questions I got during the chronic disease symposium. But it works in other scenarios as well. Maybe you’re a medical educator preparing for a room full of different learners. Maybe you’re on a hotspotting team researching patients in their communities. Or you’re an administrator and you’ve gotta boost patient engagement. Starting where people are performs one function that’s part of all of these scenarios and more. And it is the single most important reason why you should start where people are. It builds a connection. Not just in the feel-good personal relationships kinda way, thought that often happens too. This connection has to do with learning. It’s where you begin to connect what your patient, client, colleague, or student knows to what you know. Starting where people are is the only starting point you need, because of how much it matters to your efficiency and your effectiveness. The reasons for this are simple. First, decades of learning science research shows we learn best when education links the known to the unknown. That is, we learn quickly when new information is explicitly related to what we already know. What’s already in our experience. Second, we attend to what matters to us. We will learn what we want to learn. We learn what we feel suits our purposes. So if we don’t see a connection between what you’re saying and what we value, what’s important or interesting to us, you’re setting yourself up to fight an uphill battle. As much as you may wish that it were different, people don’t simply absorb the information given to them. Yet too often, a transfer of information—here, write this down, take this handout, listen to me–seems to count as communication or education. And that’s true in clinical contexts as well as in classrooms! Starting where people are benefits your communication and education, no matter what your purpose or audience. And there are multiple ways to do it. Today we’re going to explore one of them. I give examples from conversation with providers I just had, but you’ll see the core advice applies across scenarios. Let’s start with what people already do. When you wish to encourage an action, don’t start from scratch. To give your recommendation a greater chance of happening, let someone see how it already fits with their life. With what they are already doing. Too often, the focus is on what people are not doing. This is understandable, there’s a problem you want to help address. But as a starting place for addressing that problem, focusing on what people are not doing is not so great. It makes your job harder and potentially less effective and efficient. Find out (or bring to people’s attention) what they are already doing, that’s related to your topic. This is a powerful place to begin an education process. To put this a different way: rather than look for what people seem to be lacking, or doing wrong, begin by learning about the activities which people are engaged in already. At the Chronic Disease Prevention Symposium, I talked with some providers about starting with the assumption that people are already attempting to take good care of themselves. Already doing what they can for themselves and their families and communities when it comes to leading healthy lifestyles. This is important in any context as well as chronic disease. 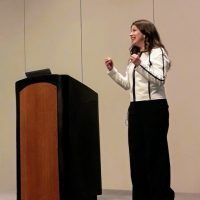 I hoped to help the providers shift their starting point from telling patients or clients what to do, to finding out what they are already doing that aligns with their advice. For example, rather than starting by telling people what to eat, to first find out what people are already eating. Identify what’s helpful or healthy in those actions and reinforce this. In one conversation I was having, an attendee who was an MPH student said, “Tell people they’re on the right track!” and I love that. This puts more emphasis on the patient as capable, active, and involved. A person who is already making sense of their health and what it means to take care of themselves. And then you get to talk about going one step further, take one little action more in that direction. One of the times I got asked this question it was in the context of consent. Works here too. What does your patient already have experience with, or know about, that has similarities to this process or point in the process? This may take some creativity and quick thinking on your feet, but your goal is to find a meaningful point in this person’s experience or observation to begin to build connections. Connection the known to the unknown. When it comes to the topic or goal of your education, ask people what they are doing already, in that area. This also extends to what people already read, say, view, write, or listen to–especially when health literacy is a concern. You have the power to start where people are, with what your audience already does, knows, values, and believes, and begin the work of talking across difference. Bridge-building, if you will. If you or a group in your organization would like some help starting where people are, let me know. 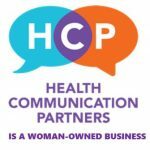 Go to healthcommunicationpartners.com and click ‘contact.’ Find me on twitter @amliebel. This has been 10 Minutes to Better Patient Communication. I’m Dr. Anne Marie Liebel.